Ever notice that some of the dealers selling watches on their websites continue to try to flush overpriced, more expensive, recased and recently acquired watches down collectors' throats? With the advent of 3, 4 or 5 thousand watches soon to flood the market (not including this last year and one half deluge), I suggest that collectors pay better attention to the market, e.g. eBay, auctions, marts, etc. and the like as well as condition factors before jumping into this market. 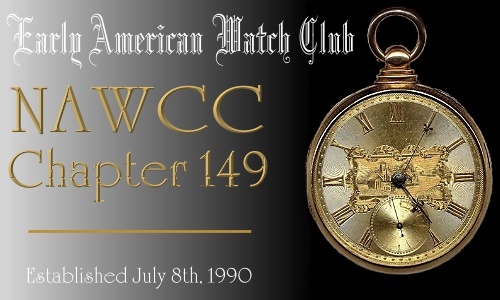 Too many common watches, low end gold, overpriced RR and off condition, recased and switched out watches, plus cheap repeaters can all make for poor decisions. Knowledge is power and cash still remains KING! As I see it this January 8th. Everything is down at the moment thanks to the China woes. The 5 year Gold chart makes for a very sad read. But remember you haven't lost anything until you sell. NOT TRUE--coins, guns, certain art and some watches have been bringing RECORD prices! That is true but it is very hard to predict in advance what those things will be. I suspect it has a lot to do with current trends or flavor of the month or whatever you want to call it. I have watches that are worth way more than I paid for them and others worth less. Fortunately I am not in it for profit but if I was me thinks it would be a hard call to pick the winners for 10 years hence. A very realistic viewpoint well written from someone who has participated heavily in watches and collectibles for 6 decades. As Roy E. always wrote in his books fair market is a willing seller and buyer. This still hold true and will forever. Commodities, stocks and collectibles fluctuiate and always will; however and from what I gather the large amount of watches for sale in a thin market creates repercussions. The super knowledgeable aren't afraid. The true enthuiasts will continue to buy what he really likes at the best price he can manage at the time. For him the only thing that changes is the number of watches he can afford with the funds allocated. Not all true enthusiasts have money to collect what they like. The greater the number of goods that come on the market, the greater the fear; then the market gets depressed and prices drop. If prices drop too far, the cycle begins again (providing the world is still kicking)! ....it is very hard to predict in advance what those things (what will be hot) will be. Why is this different now that it has always been. The internet may make things like trends and flavors of the month change faster but these things have never been easy to predict. My attitude is the market will stay depressed because there are more watches than collectors now. Particularly American material. The European stuff and WW's - because they are better documented will continue to appreciate - but the bulk of collectors are overseas now. Funny thing about European/Swiss wristwatches...except for certain companies who made their own in-house movements or the rare companies who kept records the documentation is very poor. Most companies used Valjoux or other generic movement. They had their cases made by several well known case makers. Their dials and hands from other companies. For companies like Heuer, or Universal and many other very collectible watches there are really no records that mean much and since these companies used what was on the shelf there are many undocumented variations. Even for Rolex, which used generic Valjoux 72s in their Daytona fakes are difficult to spot. Most American watch companies on the other hand made everything but cases in-house....and kept some kind of records. Truth to tell, perfect documentation is difficult on both sides of the pond.